Jamaican Grammy award-winning reggae artist, and youngest of Bob Marley's children. 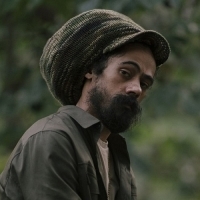 He released his debut album, "Mr. Marley" in 1996, followed by: "Halfway Tree" (2001), "Welcome to Jamrock" (2005) and 2017's: "Stony Hill". Damian featured on the 2012 Skrillex hit, "Make It Bun Dem".